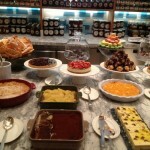 Typically when I travel I do my best to eat in local cafes or small neighborhood restaurants….. 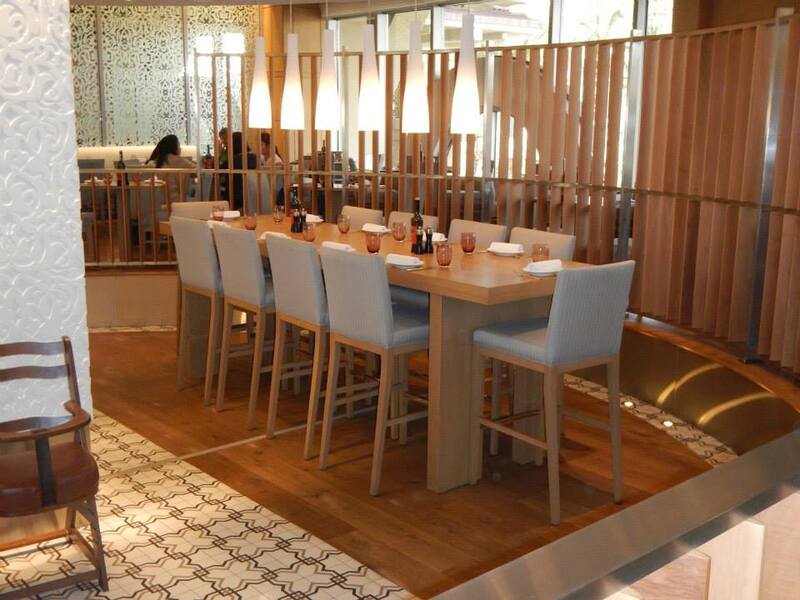 However, if you find yourself in Istanbul and would like to treat yourself to an exceptional dining experience, head to Restaurant 34, an open-kitchen gem located in the Grand Hyatt Istanbul. I had the pleasure of dining at the restaurant in July to celebrate my anniversary but, as there was also a private function in the restaurant that night, my husband and I didn’t get to see very much. 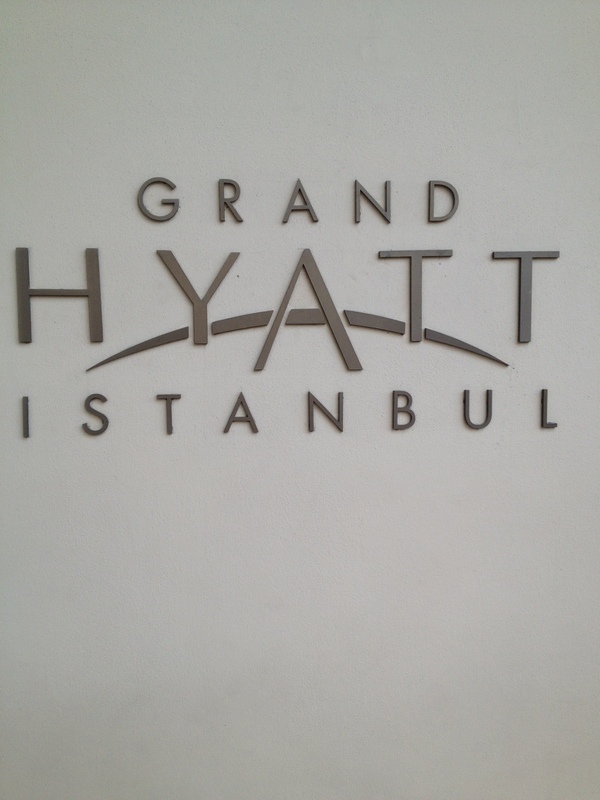 I’ve just returned from another trip to Istanbul with my friend, TheMrPickles, and, once again, stayed at the Grand Hyatt Istanbul. 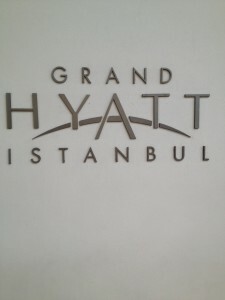 I wanted to share with him my appreciation of the Hyatt Hotel chain. 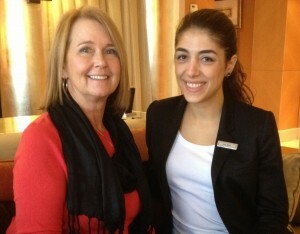 While we were there, we had the pleasure of meeting Gülşah Bağci, the Marketing Communications Coordinator. We met for an afternoon coffee, chatted about the Grand Hyatt, toured the Presidential Suite, and then headed to Restaurant 34 to meet with Executive Head Chef Fabio Brambilla. 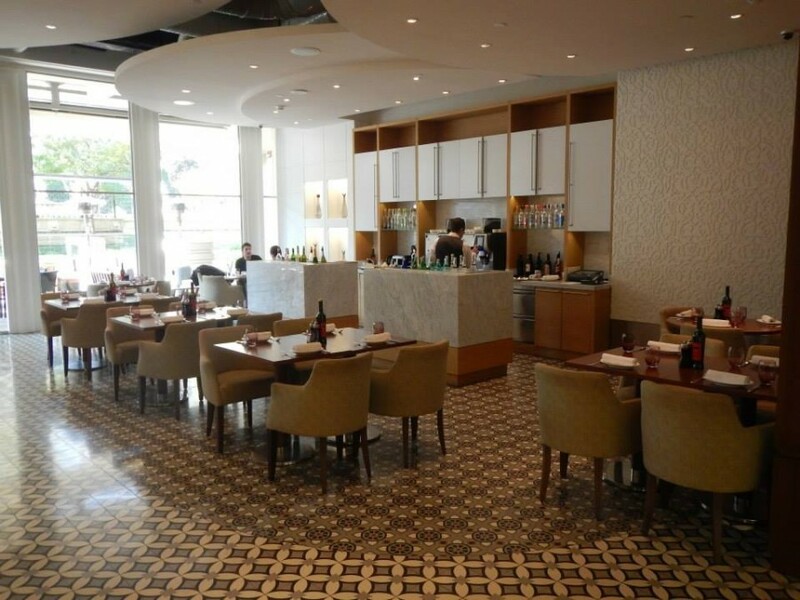 A native of Milan, Chef Fabio and his Turkish wife recently returned to Istanbul where he designed 34 – the perfect stage to demonstrate his passion for both Turkish and Mediterranean cuisine. 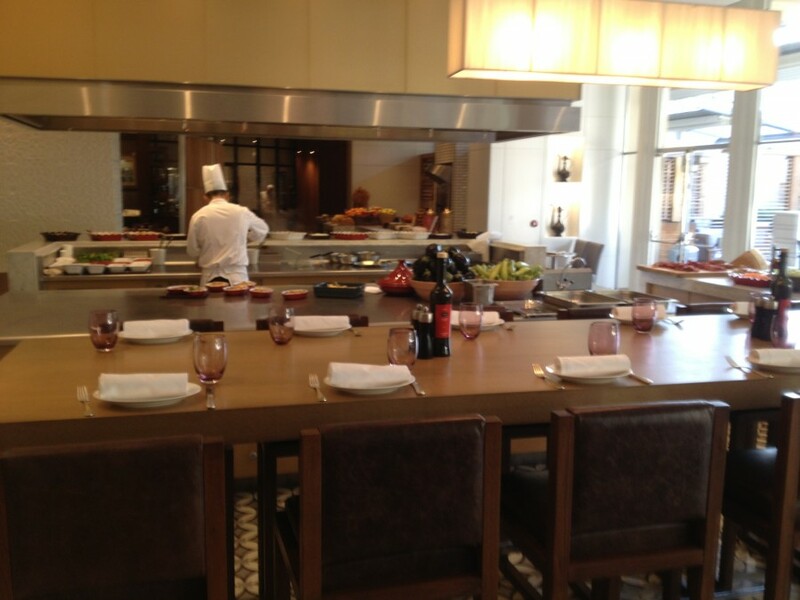 Chef Fabio has also worked as Executive Head Chef at the Park Hyatt Buenos Aires and the Grand Hyatt Santiago Chile. 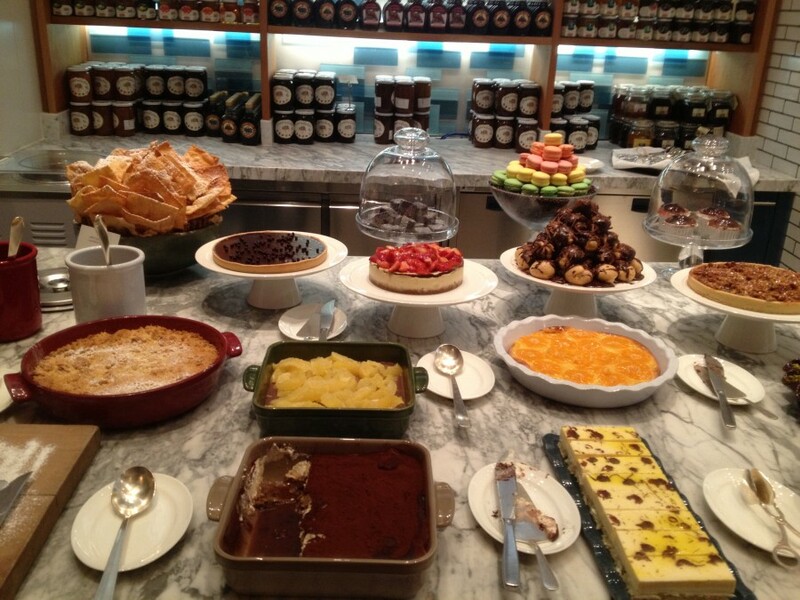 What first catches the eye upon entering 34 is the Charcuterie & Cheese Room, where over 30 varieties of Turkish cheese and a large selection of smoked beef and sausages are displayed. Chef Fabio explained that the majority of cheeses come from various cities in Turkey with the exception being the Parmesan. He loves his Italian parmesan cheese! 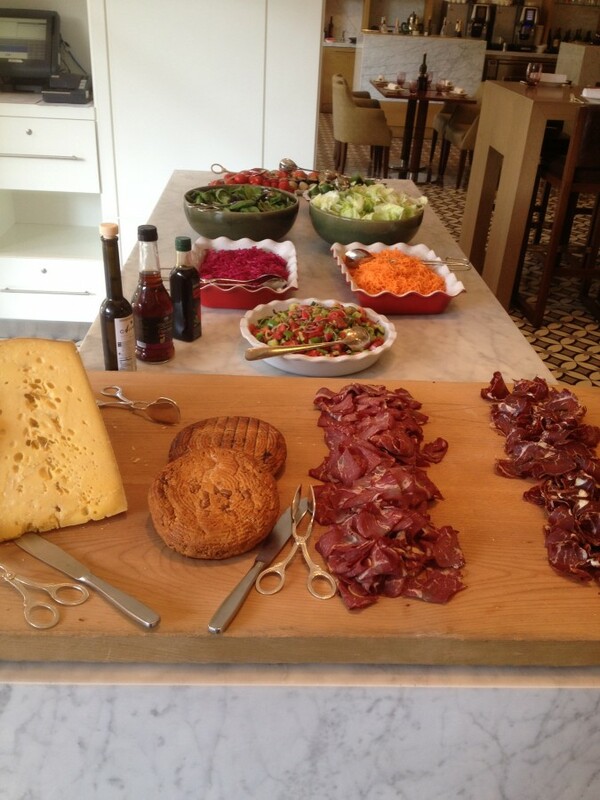 The charcuterie is also where the meze (appetizer) selection is displayed, which can be matched with one of the 34 kinds of rakı available. 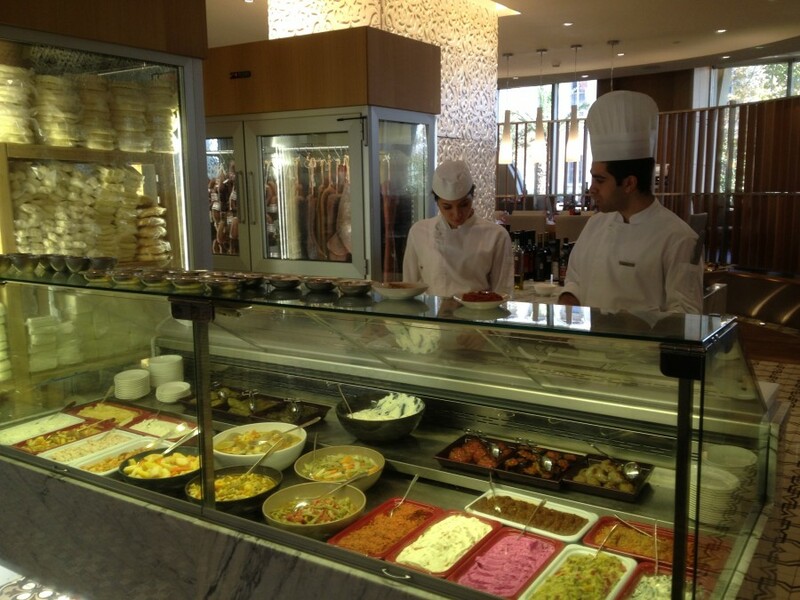 Turkish meze dishes typically consist of small servings of cheese, cold aubergine salad, yogurt with cucumber and garlic, or rice-stuffed vine leaves or other stuffed vegetables. 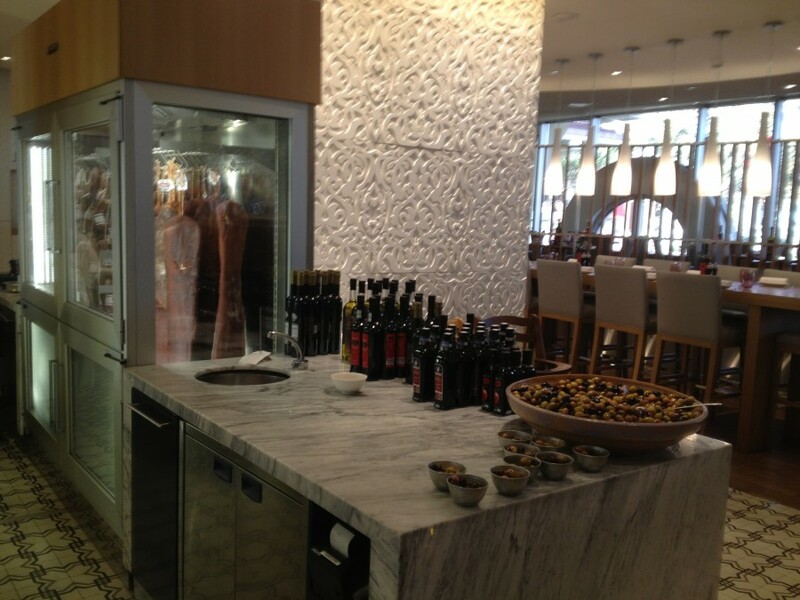 You will notice a large bowl of olives on the serving counter. I learned that Turkey is known for its wide variety of olives (over 50 varieties) and Chef Fabio only uses olive oil which is pressed in Turkey, preferring its fresh flavor over imported oils. From there we walked over to the Smoke House section with its open fire pits and the wood fired oven. 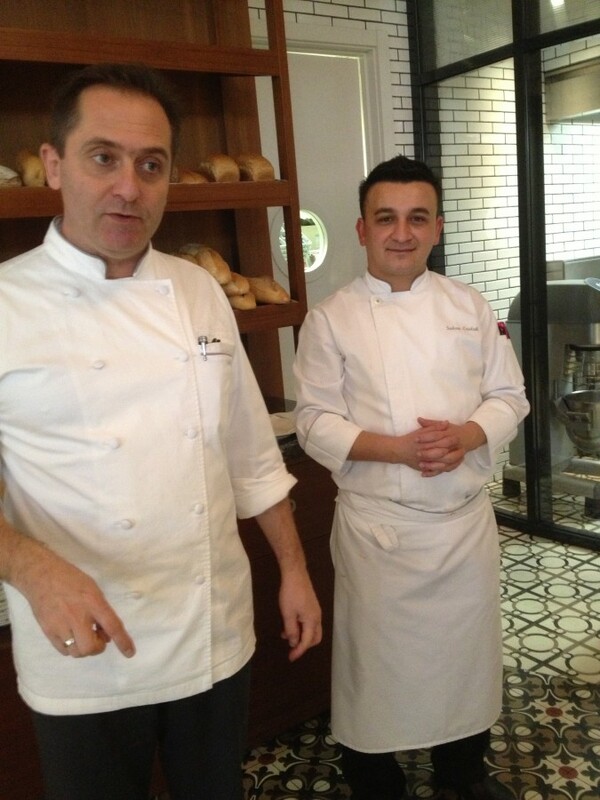 Chef Fabio explained how the ashes are used to cover the coals in order for the pit to be used as a warmer. 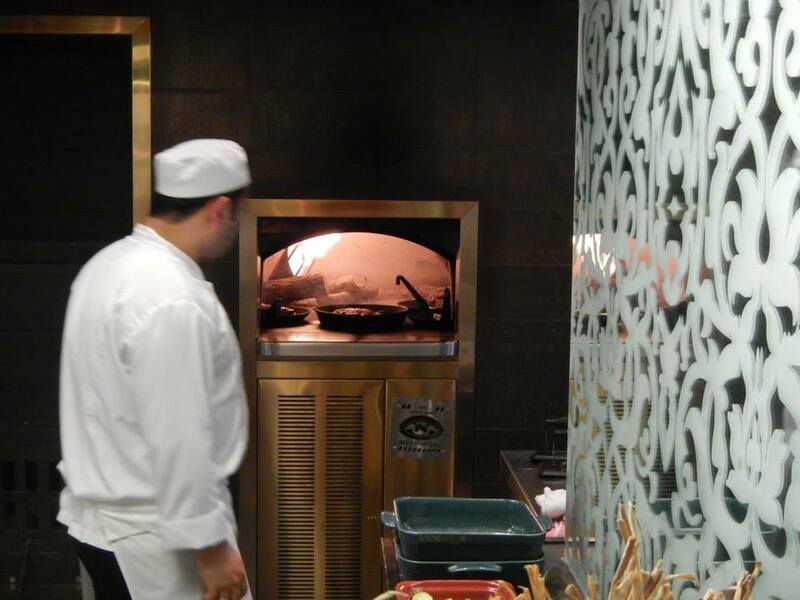 The Smoke House is where the meats and kebabs are cooked, from roasted organic lemon chicken to Turkish classics like Urfa and Adana kebab and a variety of grilled fish, all of which are caught in the Black or Aegean Seas. In the Kitchen section, you’ll find pasta varieties, like lemon and seabass risotto which was on the menu when I visited in July, soups, and several side dishes. The Chef’s Table is a 12-person private dining event where you can have an interactive meal with the chefs who explain what they are doing while preparing your meal and answering your questions throughout. 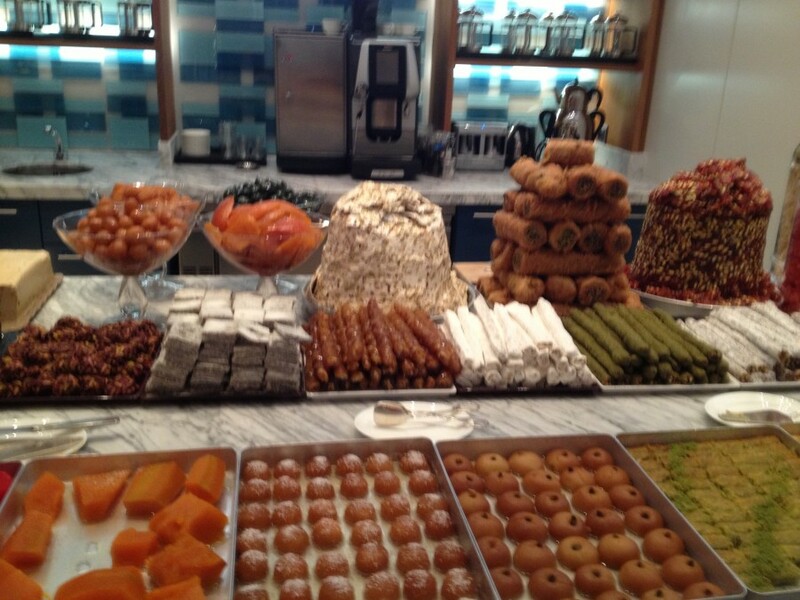 The Bakery and Patisserie sections of 34 Restaurant 34 display varieties of international and Turkish desserts as well as bakery goods. Located towards the back of the restaurant near the bakery, it is set out in a display that absolutely pushes restraint from your mind. 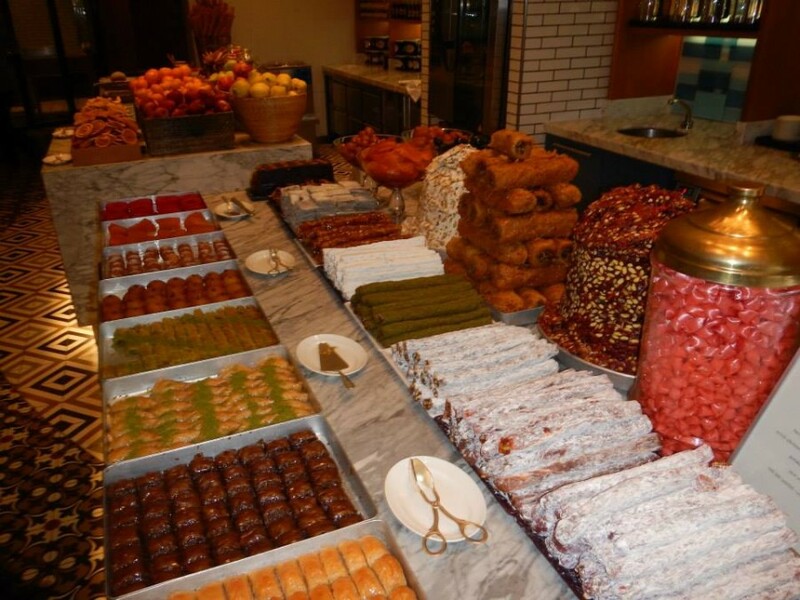 Turkish Delight (too many types to mention) fruit pies, seasonal fruits, berry crumble, baklava, and homemade gelatos and sorbets create a feast for the eyes. Chef Fabio shared that for one of his upcoming Chef’s Table events, he is planning to serve a mushroom gelato….and he promised that it would be delicious! 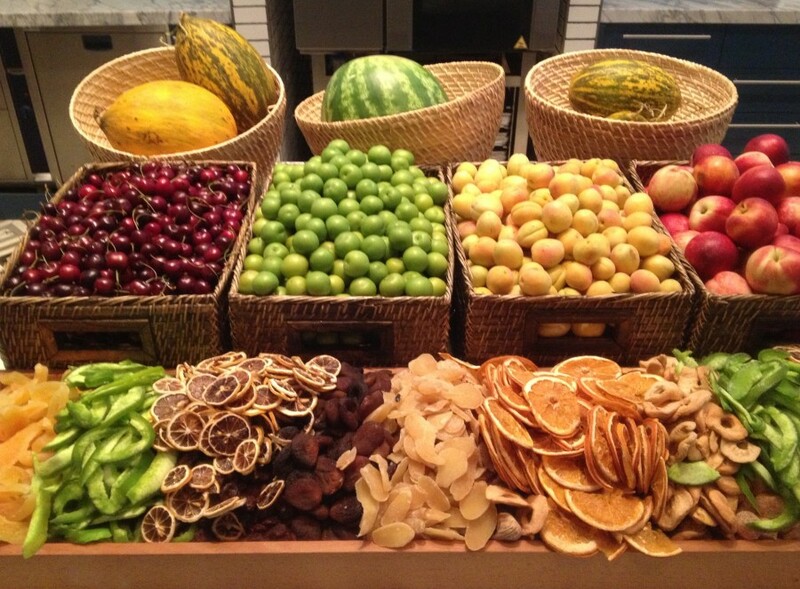 This section deserves a visit on its own! 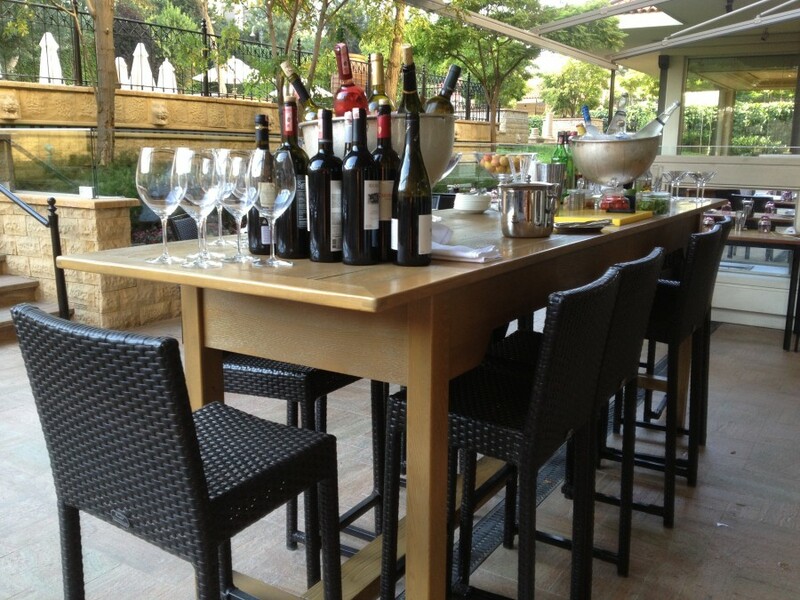 The restaurant has a separate Raki bar featuring 34 types of this heady Turkish liquer as well as an extensive wine list. 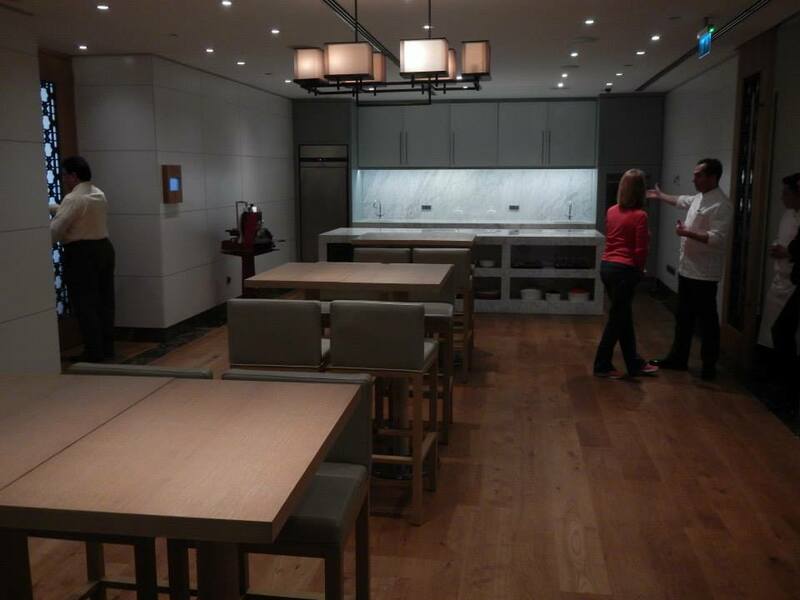 Restaurant 34 also houses private dining spaces with their own Kitchen and bar area. These areas requires a separate reservation. 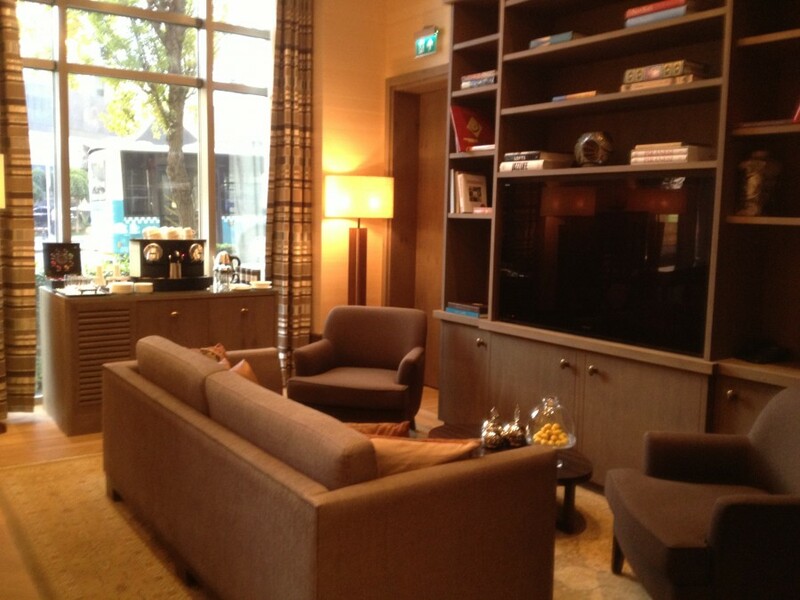 There is also an area called The Mansion which is a series of rooms primarily designed for business meetings or private dining and cocktails with names such as The Boardroom, the Study, and the Salon. 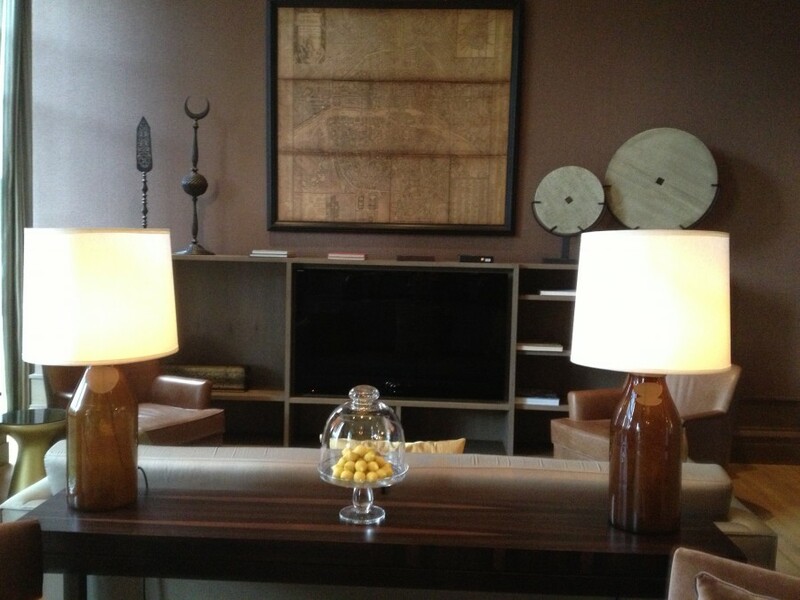 These rooms are designed for those who wish for highly personaized service and attention to detail. Decorated in a very modern style, but with quite a cozy feeling generated by seating areas, Turkish rugs, and fireplaces, the decor is absolutely stunning! Being able to take such a detailed tour of the restaurant and being hosted by Chef Fabio was just an incredible experience. 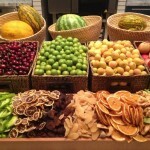 It is just one more way in which Hyatt Hotels seem to excel – the personal touch. 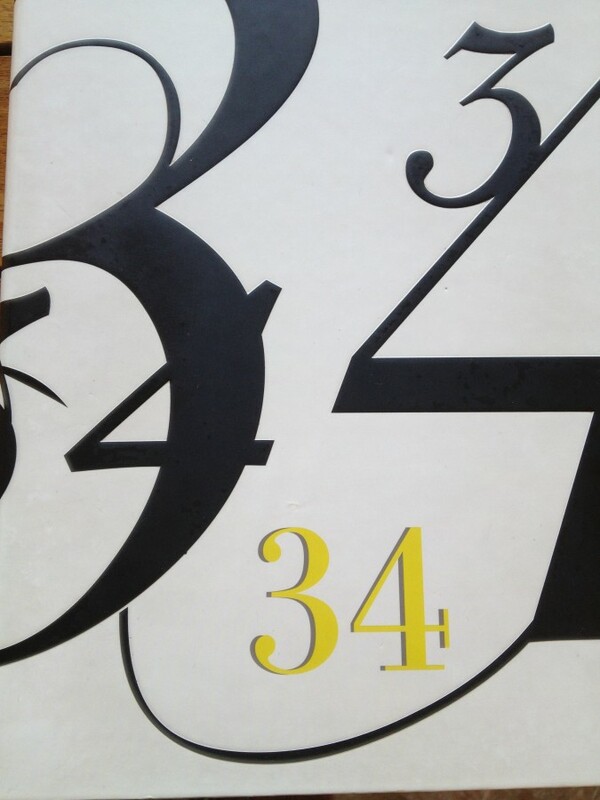 I hope that those of you who visit Istanbul will stop by Restaurant 34 and discover just what an incredible dining experience Chef Fabio Brambilla has planned for you! 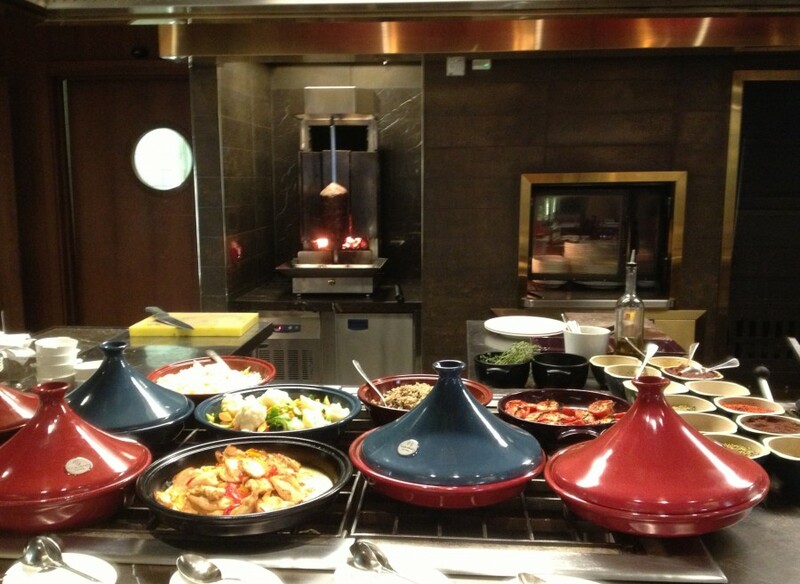 Do you have a favorite hotel restaurant? 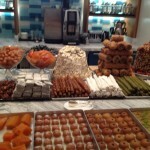 Be the first to comment on "Restaurant 34 – Grand Hyatt Istanbul – A Private Tour"